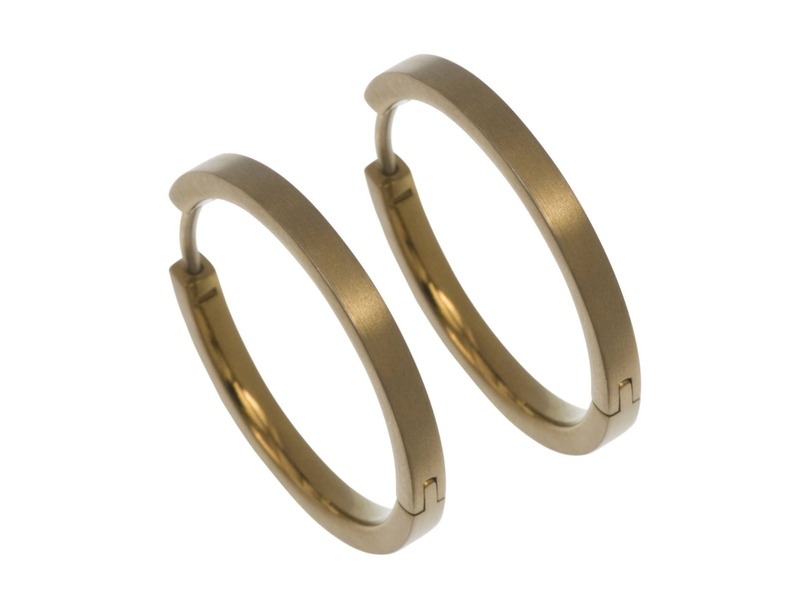 These full circle hoop earrings are fun and lightweight. They feature a hinge with a click to lock mechanism so they are safe on your ears without the need for an extra fitting. These hoops are 3mm wide and 24mm in size. Anodised pure titanium is 100% hypoallergenic and will not produce skin irritation or discoloration. Titanium is perfect for jewellery. It is strong, corrosion resistant, hypoallergenic and beautiful to look at.